The holiday season is arguably the most wonderful time of the year. Nothing beats celebrations, cheers, and festive music! Unfortunately, it can become a distraction for employees. 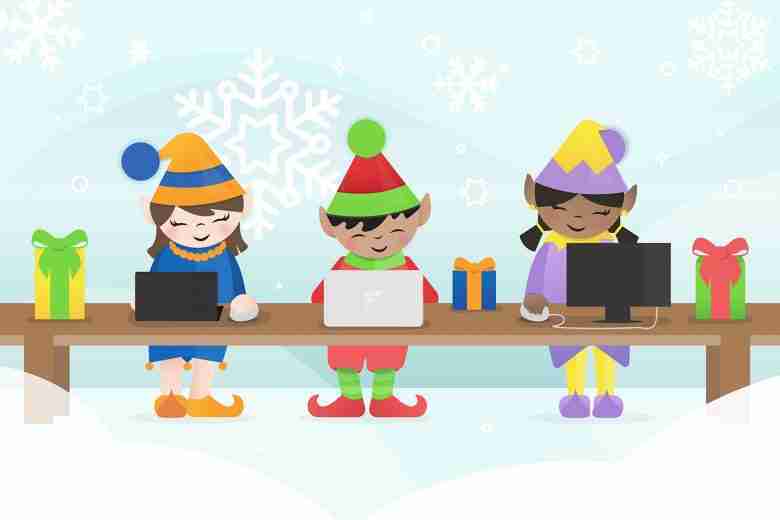 Productivity levels in North America drop 52% for workers during the holiday season, according to Toggl. For many businesses, the holiday season ends up being one of the busiest times of the year. Discover four ways to improve employee productivity during the holiday season. The holidays can bring frenzied demands from clients. The best approach to a hectic workload is to plan ahead and prioritize. Set up a productive meeting with your team. Create a calendar and figure out which tasks require more time to keep everyone organized. Having a set plan will not only help employees stay on track and busy, it also reduces stress and helps prevent falling behind. On top of planning and organizing, creating business goals or resolutions for the New Year can help motivate employees. A lack of focus for the next year can affect employee concentration. Moreover, the holiday season can get so busy that workplaces fail to work on their business, by only focusing on working in the business. Pump up the workplace atmosphere by brainstorming goals for next year. Focus on what worked well this year, what could change or be improved. This not only gets employees focused, but listening to their input provides them a sense of job security by feeling that their voice matters. As employees are hard at work, make time to connect with one another. Try planning an in-office holiday party or meet after work for Happy Hour. Moments like these help form bonds in the workplace. After all, a team that can collaborate with each other can effectively work well together. Most importantly, taking the time to know your employees outside of the workplace will help promote a positive office culture. This helps employees feel more valued and enjoy the work they do. A business thrives because of its employees and their hard work. According to a study by CareerBuilder, 40% of employees who do not feel appreciated or recognized feel less apt to go above formal responsibilities to complete the job at hand. Take advantage of the holiday to show gratitude toward employees, co-workers, and leaders. Even a simple “Thank You” can go a long way. From bonuses to holiday festive treats, there are numerous ways to show appreciation. Remember: Help employees feel as if they matter. Create an atmosphere where employees receive recognition and feel appreciated. The more they feel valued, the more they look forward to going to work. The holidays offer the perfect time to reflect on the years triumph and defeats in order to use what we have learned to positively impact the upcoming year. So avoid being a Scrooge, and invite the holiday spirit into the office this season! Joy for your business will continue into years to come. Bigfin.com is an industry leader in online advertising, SEO and custom web design. Be prepared this holiday season with our comprehensive digital marketing solutions, including social media management as well as social media advertising on Facebook, Twitter, Google+, Pinterest, LinkedIn and other social outlets. Looking for mobile website solutions or help with search engine marketing? Contact us online or by phone at (425) 822-8200.